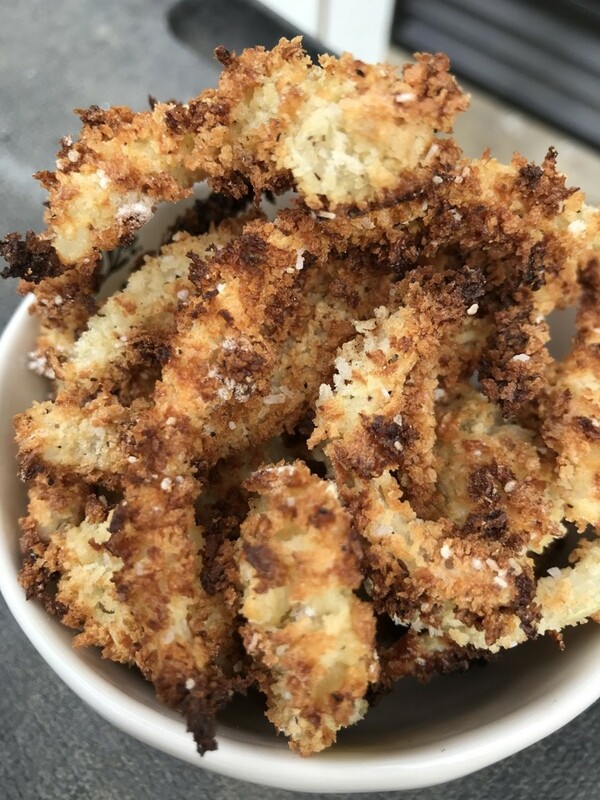 Crispy, crunchy onion rings with gorgeous flavor, without the fat of deep frying. These onion rings are breaded and baked at a high temp for perfect results. We love onion rings—they're one of our favorite treats. But I haven't made them very often because they are frankly a pain in the neck to make. 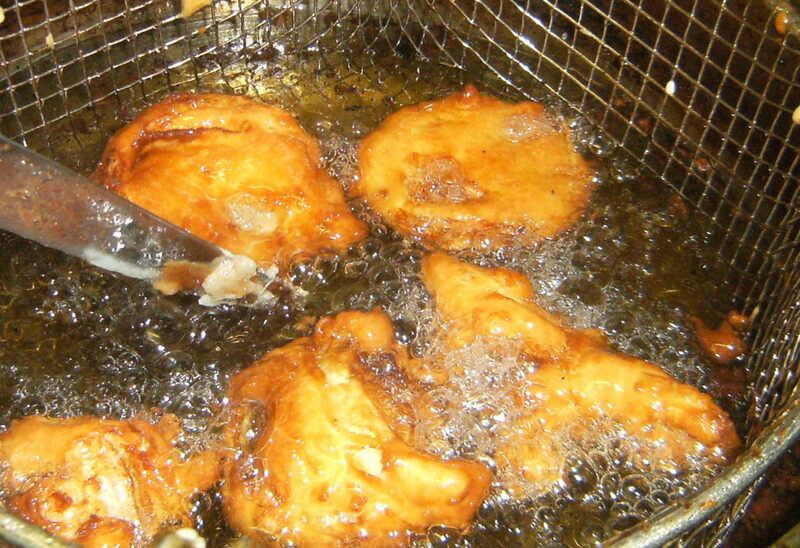 Normally, you need beer batter and deep fryer— or so I thought. 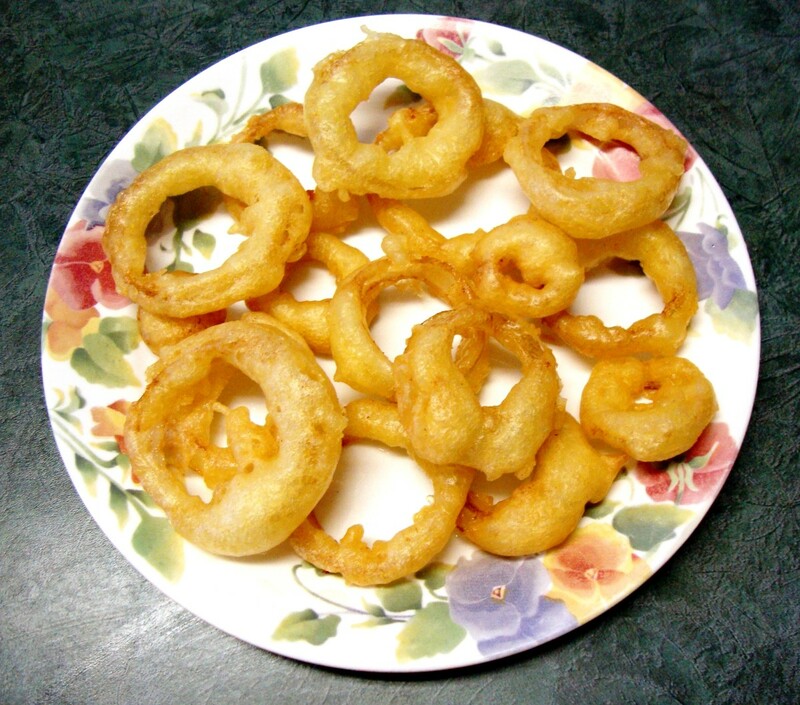 Then I figured out this recipe, and I doubt I'll ever make battered onion rings again. I was actually looking for a way to make a homemade onion topping for a scratch green bean casserole when I stumbled onto this method and was immediately hooked. Not only are they tastier than regular onion rings, they are crunchier—so it's win-win all over the place. 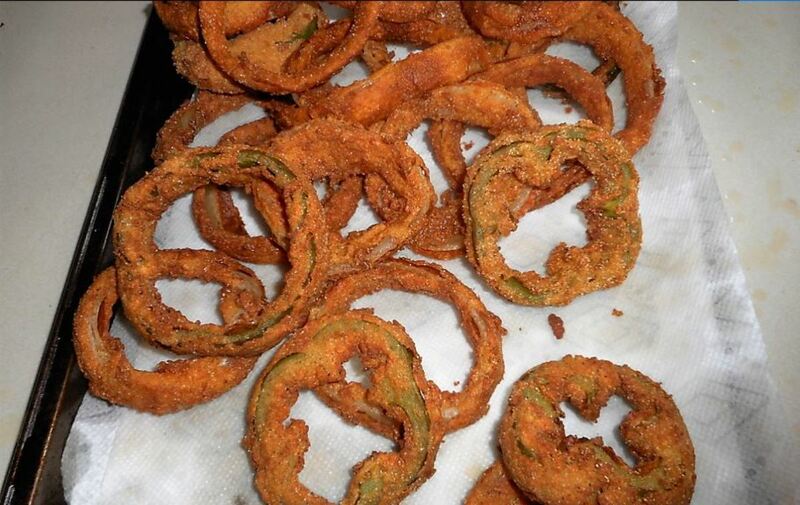 This recipe has all the wonderful stuff we love about onion rings but none of the issues. No frying, so far lower in calories. 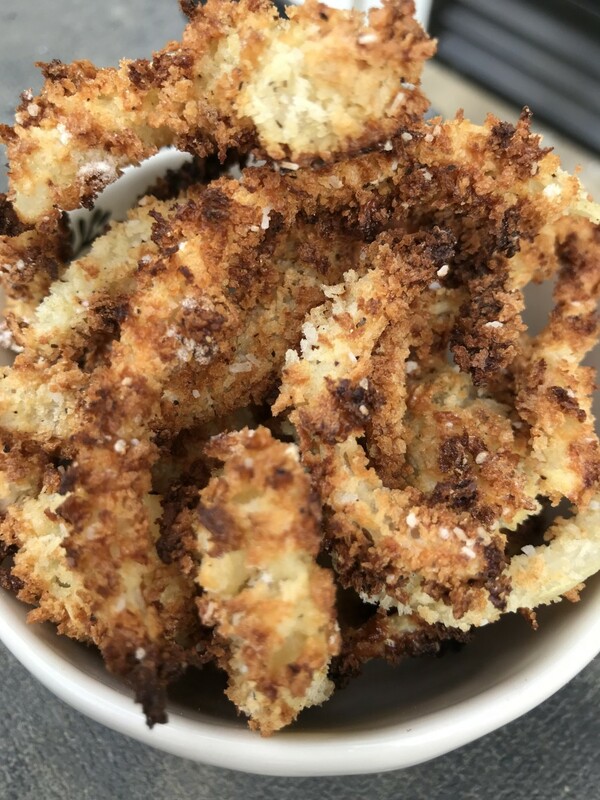 The panko breadcrumbs lend incredible crunch and seasoning the breading well ensures the onion rings themselves are just perfect. 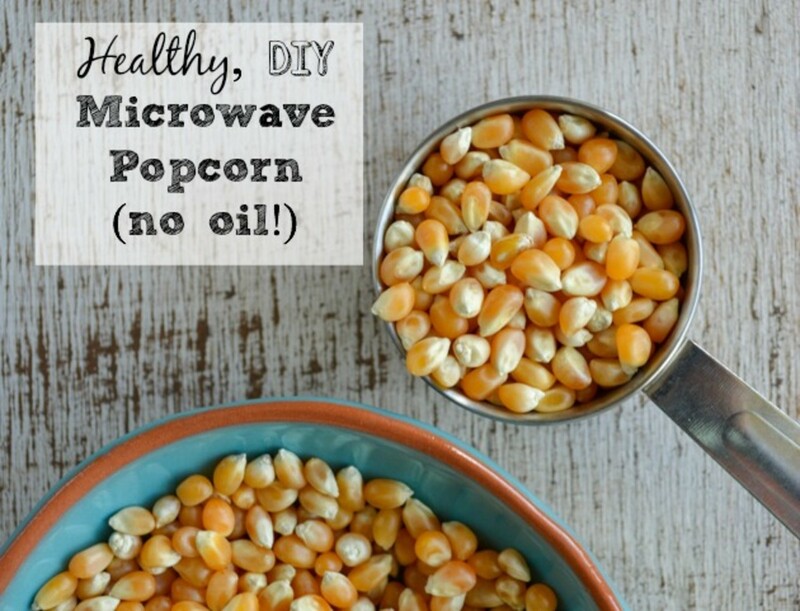 You also have a lot less clean up since you're not dealing with a deep fryer. Yay! Preheat oven to 475F°. Line a baking sheet with foil and set aside. 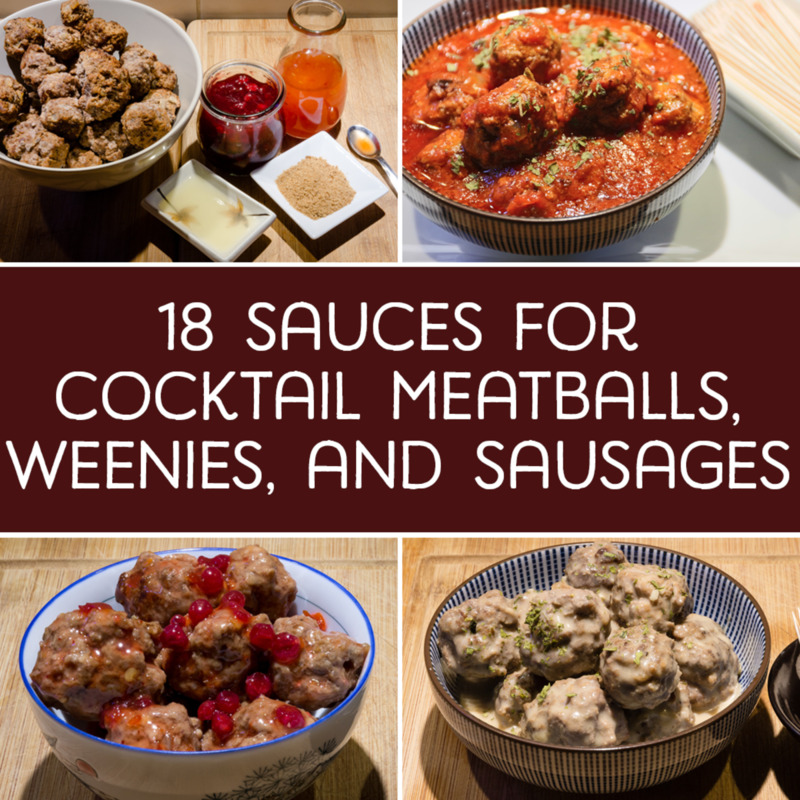 You'll need three medium sized mixing bowls. 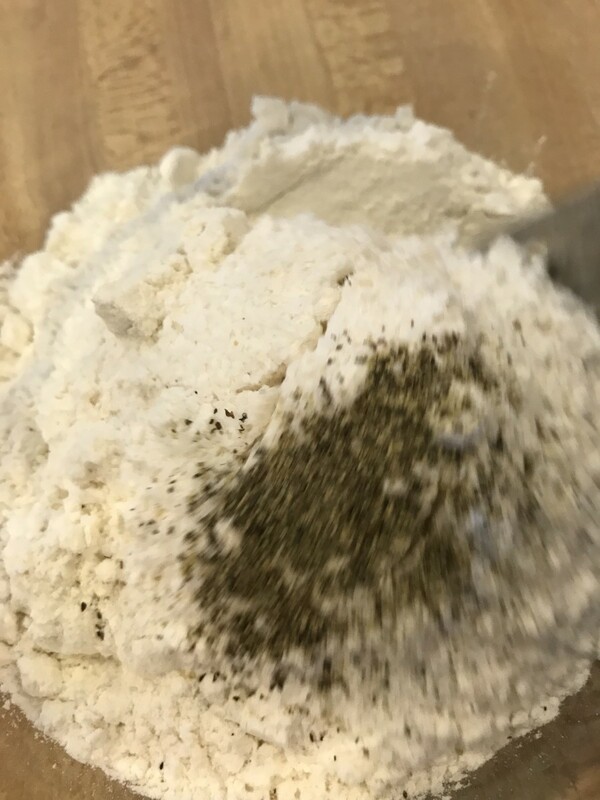 In one, place the flour, and stir in a teaspoon each kosher salt and black pepper. In a second bowl, place the panko breadcrumbs, and season with salt and pepper. Stir well to incorporate the seasonings. In a third, whip together the eggs and milk. 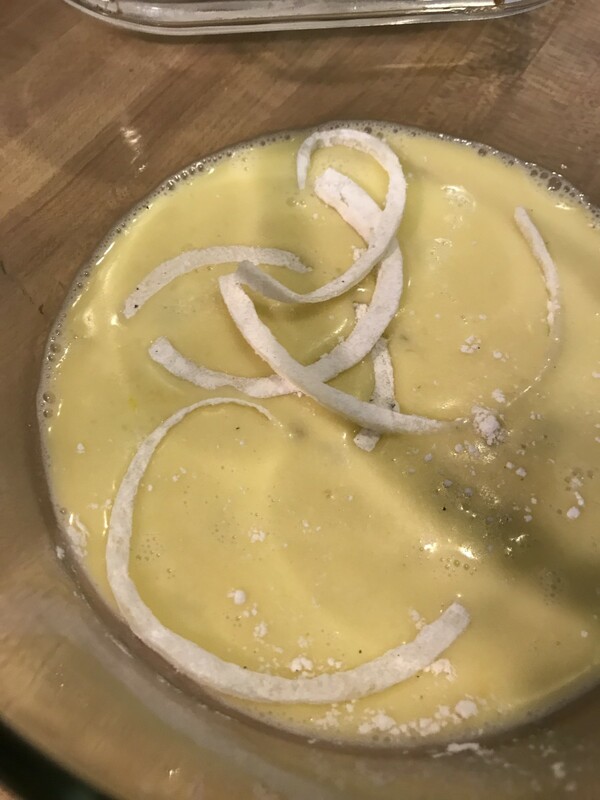 Drop the sliced onions into the flour, then dip into the egg mixture, then into the panko mixture. It helps to use one hand for the wet mixture, and one for the dry. Place the panko-coated slices onto the baking sheet. Spread them out as much as possible so they aren't touching. This keeps as much surface area as possible exposed to the heat, maximizing the crispiness. Bake for about 18-20 minutes, turning them halfway through. Watch carefully at the end. They can go from super crunchy to outright burnt very quickly. You're looking for a deep golden brown. Golden is fabulous. Burnt is just - burnt. 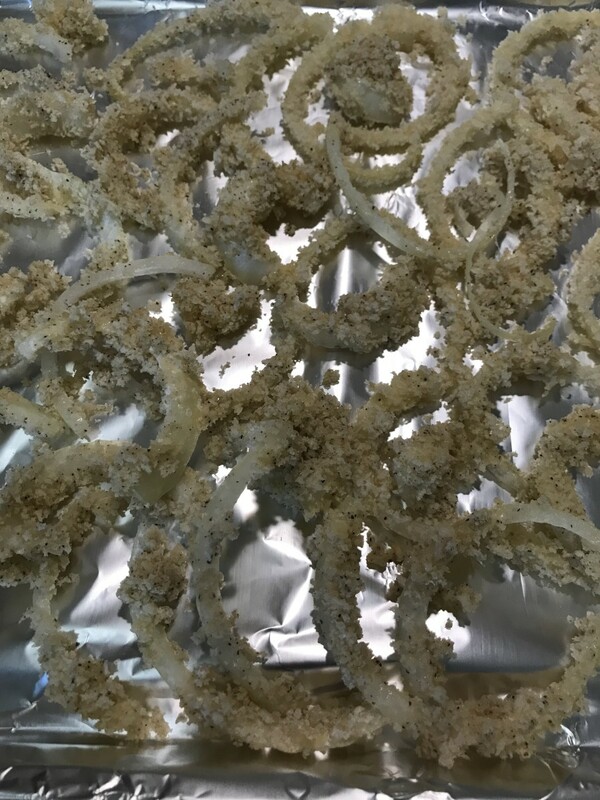 If you want to make sure the finished onion rings taste just right, season the flour and panko with salt and pepper - then taste it. Yes, it'll taste like raw flour, but you can judge if you've added enough salt and pepper. It's a great trick! 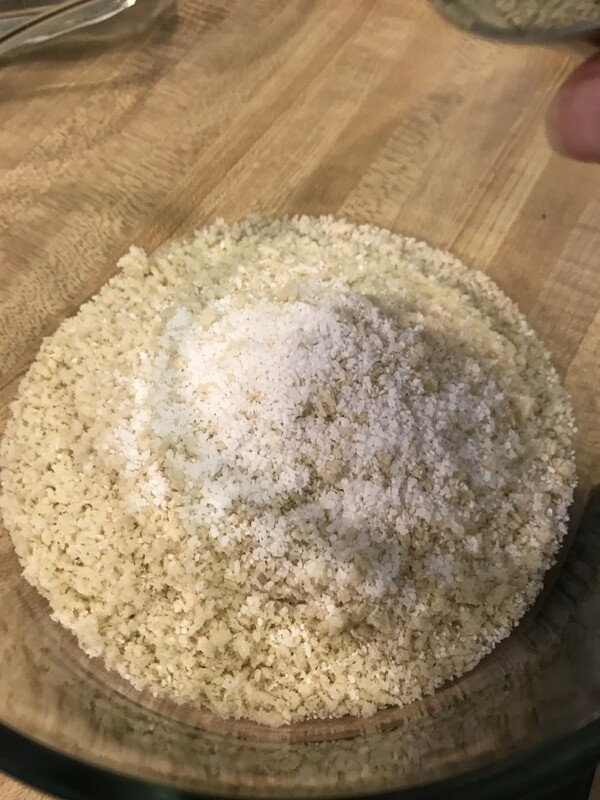 The irregular texture of panko is what makes them end up so crunchy and crispy in the oven. Season them well though - they're very bland on their own! The triple dip is important. The flour will stick to the onion. The egg sticks to the panko, and the panko sticks to the egg. 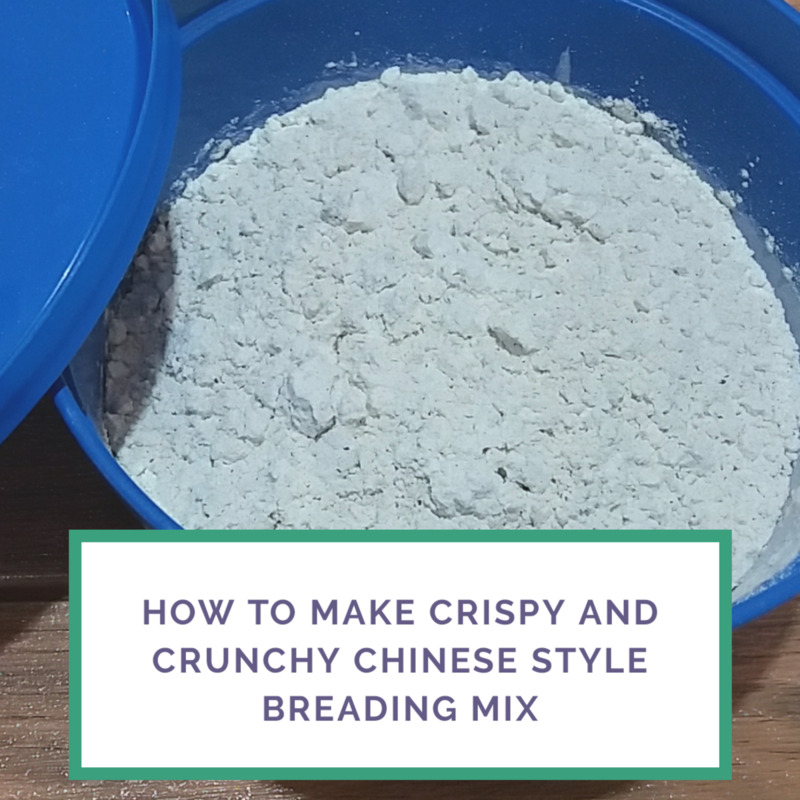 All together you get the perfect crispy breading. Keep the onion rings from touching as much as possible. Any where they touch, they'll steam instead of crisping up. Ready to go! 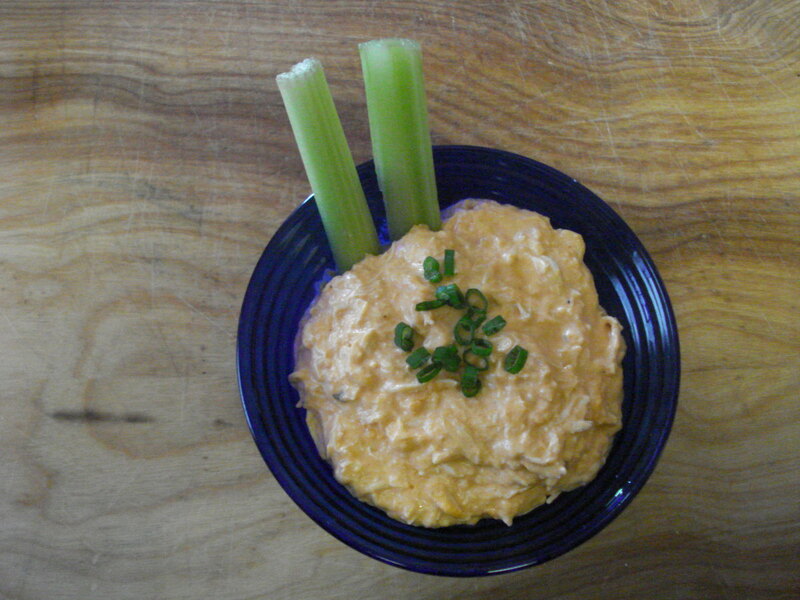 I made these for green bean casserole, but had to make a second batch. They were so addictively good, my kiddos ate too many of the first batch. Thanks, Susan - I hope you like it. We were all immediately hooked! 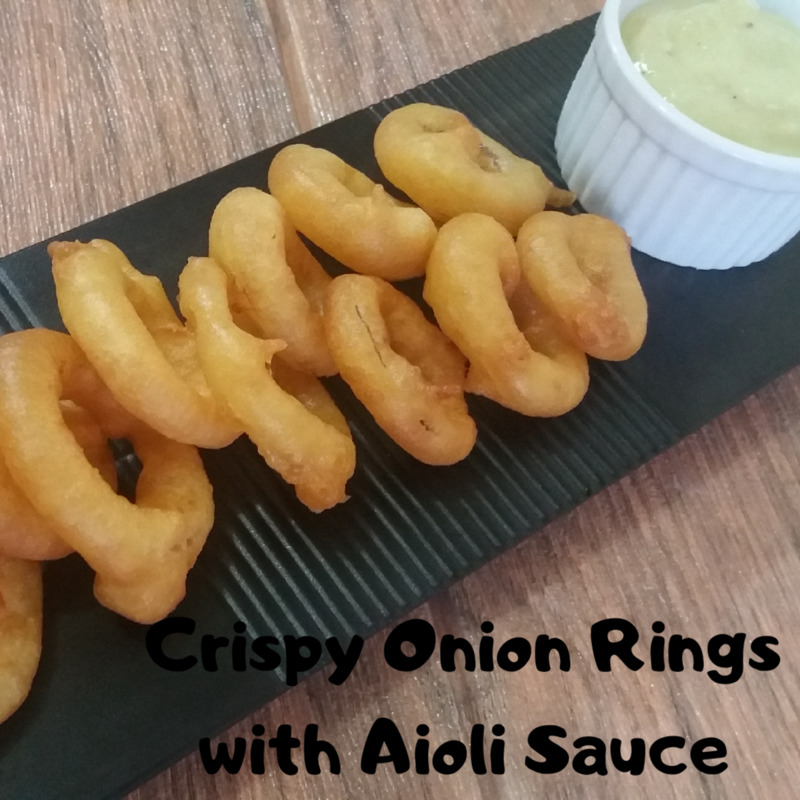 I love onion rings and can't wait to try your recipe.